With the Island closed to the public until May, we’ll take a look at some of the history of Governors Island. One of the most visible of the unused structures from Fort Jay is the old Tampa Memorial Library (building S-251). Its coordinates are 40.692698 N, -74.018052 E. It’s across the street from Castle Williams. Building S-251 is a rectangular one-story wood frame structure set on a high brick basement. 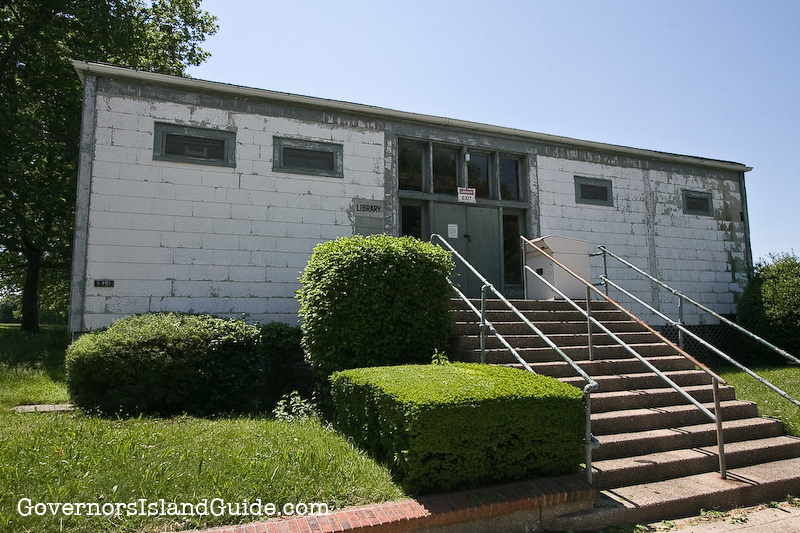 Building S-251 was built about 1908 to serve the needs of the Fort Jay Quartermaster for storage and as a workshop. During World War I it was used for supplies and during World War II it was the post exchange (PX), selling everything from cigarettes to soap. During the Coast Guard era, the structure became the base library and was named the Tampa Memorial Library, to commemorate the sinking of the USCGC Tampa. A German U-boat attacked and sunk the Tampa on Sept. 26, 1918, resulting in the highest U.S. combat casualty loss in World War I. The cutter sank with all hands, 115 officers and men, and 16 passengers. The short street west of the library was also named in honor of the Tampa. Building S-251 served as the post library for many years. When the Coast Guard departed in 1997, the book-return box was still standing in front of the entrance. This dilapidated structure may not be on the island much longer. In October 2012 the structure was badly damaged by Hurricane Sandy. The building lies within the boundaries of the National Monument; the decision is up to the National Park Service to determine its fate. If there are other buildings on Governors Island you have questions about, just send a note. The new book The Governors Island Explorer’s Guide has the stories of more than 100 Island buildings and landmarks.